Innovative Russia: Kaluga Region Pharmaceutical Cluster press conference was held in Moscow on November 30, 2016. The event was attended by Olga Kolotilova, Director, Department for Development of Medical and Pharmaceutical Industry of the Ministry of Industry and Trade of the Russian Federation, Ivan Fedotov, Director, Association of Innovative Regions of Russia, Anatoly Artamonov, Kaluga Region Governor, Anatoly Sotnikov, Director General, Agency for Innovative Development – Center for Cluster Development of Kaluga Region, Vladimir Nesterenko, Director General, Niarmedik Plus. Kaluga pharmaceutical cluster includes over 60 participants (both major companies and SMEs). Kaluga Region pharmaceutical companies manufacture about 169 products. Manufacturing of several dozens new products is to be launched in the near future. Dosage forms account for over 80% of the cluster products. The cluster turnover in 2015 reached RUR 19 billion. This October the pharmaceutical cluster became a part of a top priority project implemented by the Ministry for Economic Development of the Russian Federation, namely the Development of Innovative Clusters – Global Leaders in Terms of Investment Attractiveness. Anatoly Sotnikov said; “Kaluga Pharmaceutical Cluster seta a strategic objective to join Top 3 Russian pharmaceutical clusters in terms of market share. 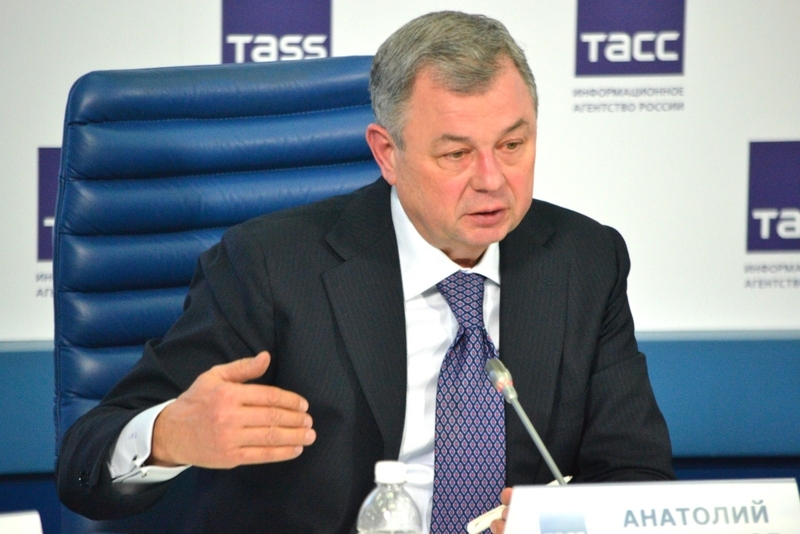 We expect the cluster will get a 10-12% share of the Russian market by 2020, having 15-16 major companies as members. 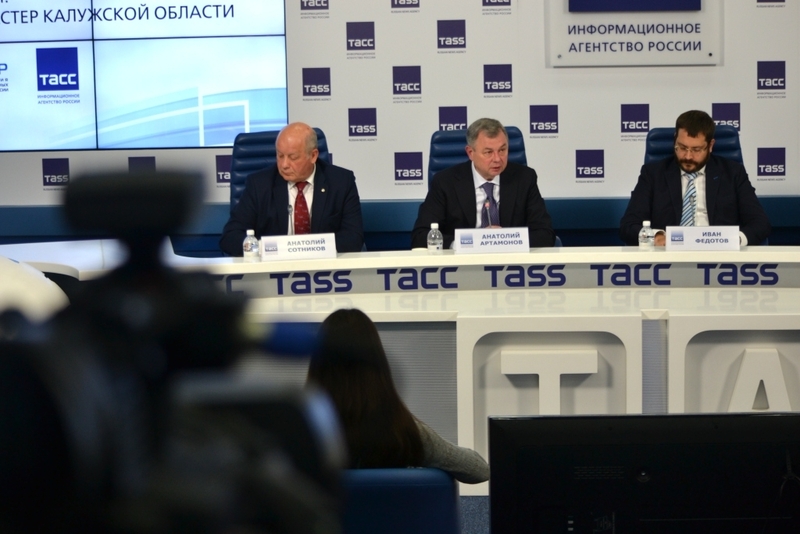 According to the forecast the cluster turnover in 2016 is to be close to RUR 30 billion. The cluster constantly grows. Companies expand their production facilities, set up their R&D divisions in Kaluga Region. This proves the availability of relevant competencies in the region required for development of science intensive and advanced production facilities”. The list of promising areas for the pharmaceutical cluster development includes the application of breakthrough nuclear medicine technologies, creation of complete value-added chains and setting up of new R&D centers. Anatoly Artamonov noted that according to an expert appraisal carried out by the European Secretariat for Cluster Analysis (ESCA), only five Russian clusters out of 750 studied clusters, received Cluster Excellence bronze certificates, including Kaluga pharmaceutical cluster, which had the highest rating in Health and Medical Science category. In the course of the appraisal Kaluga pharmaceutical cluster was compared to 19 leading European clusters operating in the relevant sector. Ivan Fedorov noted that Kaluga Region had managed to increase its export potential. He said: “Kaluga pharmaceutical cluster is capable of manufacturing innovative products, satisfying the demand for high quality medicines”. According to Vladimir Nesterenko, Kaluga pharmaceutical cluster is a unique system, which includes all elements of a medicine development chain, namely, major research centers, small businesses and engineering centers, large international and Russian pharmaceutical manufacturers. The core element of the cluster is the development of cooperation ties and promotion of long-term and efficient relations built on such ties. Vladimir Nesterenko said: “The objective has been reached. A single project team helped us in building our production facility. Regional development institutions offered us a land plot with the required engineering infrastructure”. Currently Niarmedik investment portfolio consists of 20 new projects related to marketing of new medicines. The vast majority of them have been developed by the company itself. Olga Kolotilova spoke of specific features of the pharmaceutical industry development strategy. She said; “In 2009 the pharmaceutical industry was named one of five top priority areas of economic growth in the Russian Federation. The volume of the Russian market of medicines grows annually by at least 10%. This is one of the most dynamically growing markets in the world. In the first half of 2016 it demonstrated a 4.5% growth (YOY). Production grew by 38% in the same period. A new pharmaceutical industry development strategy till 2020 was approved in 2009. The strategy provides for creation of preconditions for further innovative development of the industry. A relevant federal target program was approved and funds were allocated to support measures related to development of technologies required to manufacture vitally important medicines, which had never been produced in Russia, as well as technologies for development of innovative medicines, clinical and pre-clinical testing. Apart from that support was provided to medical industry developing equipment, which had not been produced in Russia. 22 out of 130 pharmaceuticals previously not manufactured in this country, have already been registered, including 13 medicines in 2016. The relevant market volume for these two areas equals RUR 14 billion, which is 28 times more than total investments made by the federal budget in those products manufacturing. Over 600 projects have been supported since the inception of this program, over 260 pharmaceutical companies have taken part in it. Scope of investments in the pharmaceutical industry (both Russian and foreign) exceeds RUR 120 billion. Many companies decided to build their plants in Kaluga Region”.